I have the privilege of bringing you this week's tutorial. 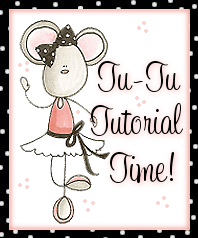 If you have seen or remember my previous tutorials, then you know that I like them short and sweet!! Why should this time be any different...Right?!?!? This technique is super simple. Place a wipe or paper towel inside the wipe container. The container keeps everything safe and neat. You will pour a bit of bleach over the wipe or paper towel. Enough to moisten, but you don't want to overly saturate. 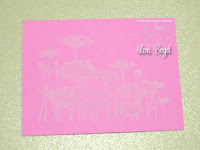 Next, simply place your stamp directly onto the bleach soaked wipe and then lift and press onto your card stock. Just let inking and then stamping with ink, only you are using bleach instead of ink. It may take a few moments for the bleach to thoroughly dry, fading more and more as it dries. Repeat, as desired. Then, assemble and embellish your project!! See, I told you it was quick and easy!! 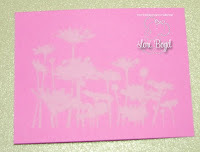 I did one more sample, just to show how you can create your own "designer card stock". 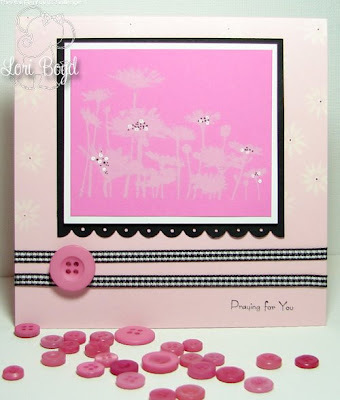 I stamped the image, from the Stampin' Up! 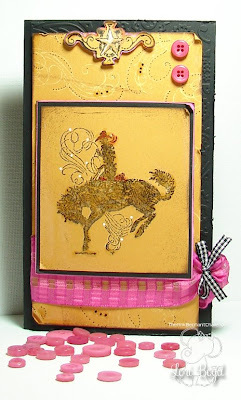 Stamp Set "Bronc Buster" with bleach. Let it dry and then added my own little doodles!! 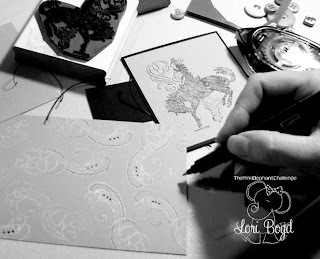 Then used that as the background for the card below, perfect for your little cowgirl. 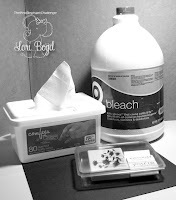 Can't wait to see some of your samples of the bleach stamping!! 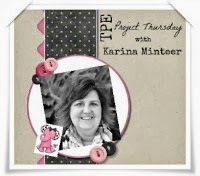 Maybe you can use this technique when you create your project for this week's sketch challenge!! Wow! i like your Tuto... can't wait to stamp with bleach!! What a fab idea...going to have a go at this ! Thank you ! 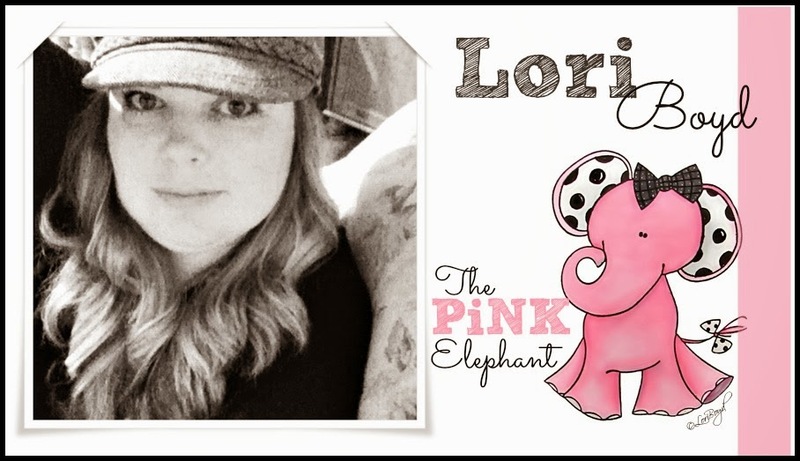 Wonderful samples Lori!!! I love how you made the pp using bleach and a pen! Very cool! Great tutorial!!! I haven't tried this yet, but have to now... Your samples are beautiful!!!! THis is so cool, I have tried it once before and the result is stunning. You can also try those bleach pens for a greeting or freehand drawing.